I’m in a season where there’s so much I’d want to share here but when I sit down to write, words refuse to be shaped. New worlds hide. Life-shifting truths become fuzzy. Sometimes I stick with it to see what might come with a little time. But most of the time, I let it rest and trust it will come when it’s ready. I’m learning to trust myself in a way I haven’t been able to do before. It’s uncomfortable, ground-shifting and freeing. One day soon I hope the words come to compile the countless pages, notecards, phone memos and journaling pages of the last six months of my life. But for now, here’s the highlight reel. Ever since I walked in the office door of my first appointment as a lead pastor, I’ve been intently focused on discerning a vision for this specific faith community. They’re already doing great work in the community. Is there something significant we could do so more grace and love would spring up in new places? No matter what I did, who I talked to, what I read, I would gaze into the future and see…nothing. It was blank, fuzzy at best. And very irritating. Several visions and possibilities arose in those 2.5 years. They didn’t catch. The energy wasn’t there. They weren’t the ones. Then this past November, we invited our faith community to spend the season of Advent (getting ready for Christmas) to pray this together: God, we are yours. What do you want to do through us? In all honesty, it was something planned at the last minute. Our office printed cards with the prayer on it that morning and we put them at each person’s seat. I was a bit surprised a couple days later when someone said in passing they were enjoying offering that prayer to God. I realized people had actually listened and I better get more consistent and intentional about this prayer! So I did. About a week or two later, things started to shift. Things I had previously been very closed to started to look and sound different. New thoughts were presenting themselves. New pieces of information presented themselves. Then one Friday morning, I was sitting by our Christmas tree and through tears and great emotion, I finally saw it. It was clear. Simple. So obvious. How had I not seen this before? What if Marysville United Methodist Church birthed ten new expressions of church in the next thirty years? Check out the video. I then got to be a part of countless conversations in our faith community about this idea. Each time, I would sit back and get a sense of the energy. Was this for real? Was is something I was just pushing through? Was this really God at work? Could this actually be incarnated in these people and become a new dream? Each time, it felt like God energy so we continued forward. Long story short, our own Director of Family Ministries, Kate Kilroy, was assessed and discerned to be our first church planter. She begins this appointment on July 1. I’m so excited to watch this unfold in the next few years! Kate’s yes to this new adventure meant a row of domino blocks behind her. Our team brought on Becky Dickinson to serve as our Director of Family Ministries. My husband discerned it was time to step back from youth ministry so we brought on Dakota McFarland as our Director of Youth Ministries. Gabija Vaicekonis, one of our worship leaders will be moving on to new adventures so we’ve been saying goodbye to her as well. At the same time this was unfolding, we started to discern what leadership and coverage we would need as Kate moved to this new role. It became clear that Tanya Pile, our Director of Care Ministries, was being prepared for something new as well. She’s in the candidacy process to become a pastor and was approved to be a Licensed Local Pastor. I always thought it would be years before we’d be ready for an Associate Pastor. Mostly because we couldn’t afford another clergy financial package. But because Tanya feels a strong call to serve part time, we realized we could be ready this year. The Bishop appointed Tanya to be our Associate Pastor beginning July 1. Tanya and my gifts compliment each other very well. I’m excited about this new partnership! So, you could say it’s been a busy and interesting six months. The fascinating part is that we discerned last summer it was time for a month-long renewal leave and planned it for July 2018. Each United Methodist pastor is able to take one month off every four years for renewal. 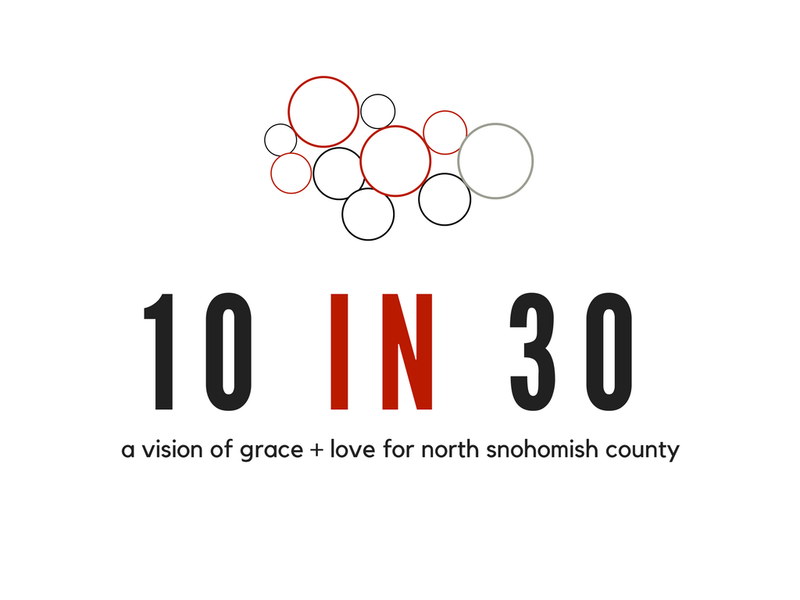 I had no idea the 10 in 30 thing would emerge or that Tanya would become Associate Pastor. I smile at the timing of it all. So this July 1 I’ll enter into a deep Sabbath season, which I need. I’ve poured out everything I could possibly give in the last six months. God is inviting me to lead and be present in a different way and this month off couldn’t have come at a better time. It’s causing me to wrestle with important questions: Who am I without my ministry and work? What if I can’t handle the quiet? What will I see that I never could have seen in my noisy life? July will hold a trip to Alaska, Oregon and day trips around the Pacific Northwest. A digital detox is planned. No email or social media for the month. I’ll read, play, swim, create and rest. There’s something for me to learn in this space and I want to show up fully to the experience. Would you say a prayer for me during July? Because I’ll be offline and away from my faith community, I’m aware it could be a bit isolating. But I know it’s a gift to enter into intentional space with God, myself and my family. So there you go! Following Jesus continues to disrupt my best laid plans. The careful way I’ve arranged my life. And I couldn’t be more at peace (well, most days). Surrender is a surprisingly wonderful place to be. Previous How do you measure your days? Next Who gets to tell you you’re good?